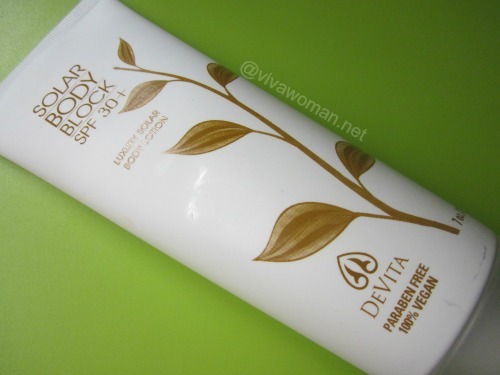 I was really pleased to find this big tube of Devita Solar Body Block SPF30+ at iHerb. 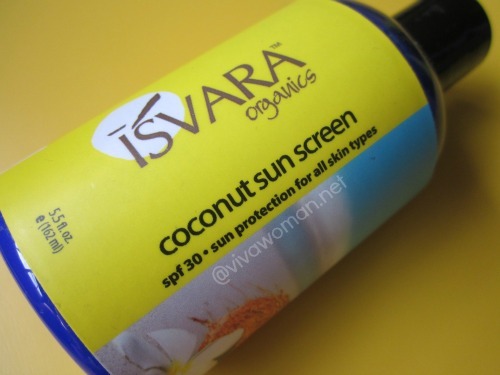 This is far more moisturizing than the Devita Solar Protective Moisturizer SPF30+ that I reviewed in May 2011. In terms of color and texture, both sunscreens are pretty close but this Body Block doesn’t dry out my skin at all. I’m not surprised to learn that some people are even using this on their face. 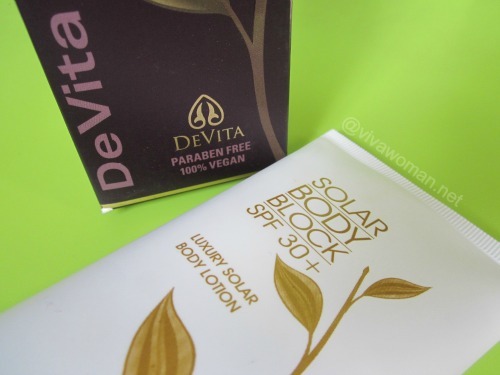 Described as an effective body moisturizer and natural sunscreen all in one, the Devita Solar Body Block SPF30+ offers broad spectrum UVA/UVB sun protection with a USFDA Monograph Sun Protection Factor Determination test level of 32. This is supposed to be soothing and suitable for sensitive skin. 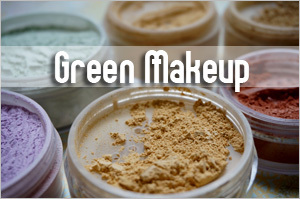 Devita skin care products by the way, are 100 percent vegan and paraben free. They are considered gluten sensitive safe and never contain GMO’s. Neither are they ever tested on animals. 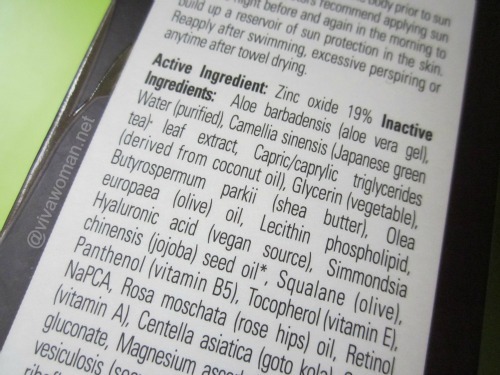 ACTIVE INGREDIENT: Zinc oxide 19% INACTIVE INGREDIENTS: Aloe barbadensis (certified organic aloe vera gel), Water (purified), Camellia sinensis (Japanese green tea) leaf extract, Capric/caprylic triglycerides (derived from coconut oil), Glycerin (vegetable), Butyrospermum parkii (shea butter), Olea europaea (olive) oil, Lecithin phospholipid, Hyaluronic acid (vegan source), Simmondsia chinensis* (jojoba) seed oil, Squalane (olive), Panthenol (vitamin B5), Tocopherol (vitamin E), NaPCA, Rosa moschata (rose hips) oil, Centella asiatica (goto kola), Copper gluconate, Magnesium ascorbyl phosphate, Fucus vesiculosis (seaweed) extract, Allantoin, Sodium riboflavin phosphate, Chondrus crispus (Irish moss), Lavandula officinalis* (lavender) essential oil, Anthemis nobilis (chamomile) flower essential oil, Vitis vinifera* (grape) seed extract. 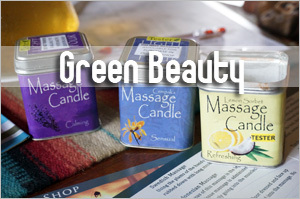 Ingredient labeling adheres to international INCI standards. Devita Solar Body Block SPF30+ appears to have tweaked its formula slightly because I remember it used to contain retinol. But it remains as nano free and contains 19% micronized zinc oxide. It applies very well and does not leave any greasy or sticky residue. More important, you won’t find any whitecast from using this. Like I mentioned, this is pretty moisturizing and does not leave a flaky residue like what the Devita Solar Protective Moisturizer SPF30+, which is really for the face, did for my neck and arms. 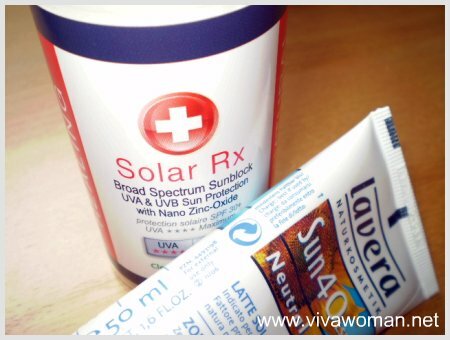 I like the Devia Solar Body Block SPF30+ a lot! It’s a perfect moisturizer for my arms and yet, it has sun protection. In addition, the 210ml retails for US$22 at iHerb and I found that price to be reasonable. Although some people have used it on their face without issues, I prefer to keep this for my body. However, this might work quite well on the face if one has dry skin. 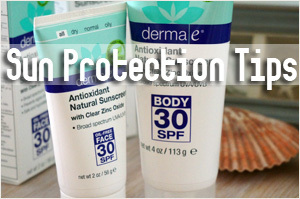 As for sun protection, it seems to offer sufficient coverage based on the amount of zinc oxide. However, I’ve only used this like a month and so I can’t really conclude anything about its effectiveness. But personally, I’ll opt this just for casual sun protection. No retinol?? I must re-try this. I didn’t order again because of the Vit A content. Audris last post is: Sale Alert: Sweet Anthem BOGO Jan 2013! 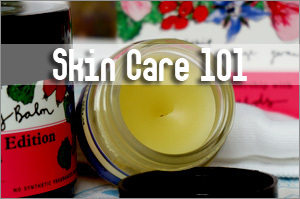 Hm, what is wrong with retinol? @Sandra: There are a bit of controversy concerning that ingredient and one of which is that it can increase sun sensitivity. Yeah, I looked at the list several times just to be sure and it looks like they’ve removed it. Thanks for the heads up. I’m a regular for the face sunscreen. Would give the body one a try too. iHerb also has a line of products from Acure. 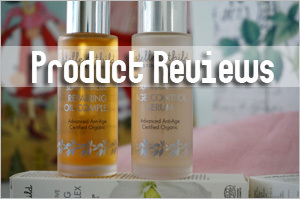 Me and my colleagues have tried some of the products and it’s really not too bad. 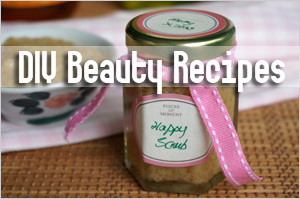 I especially like their brightening scrub. I will try this during my next iherb purchase. I haven’t found a good body ss yet. There was even a time when I used the MVO face screen on my arms. Actually, I’m currently tempted to try other brands of ss for my face. Been using MVO for a long time now and although I still like it, I’m getting ‘bored’. Haha. You wrote a post about this effect once. 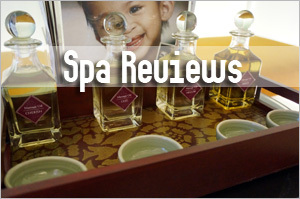 Thanks for this nice review!!! 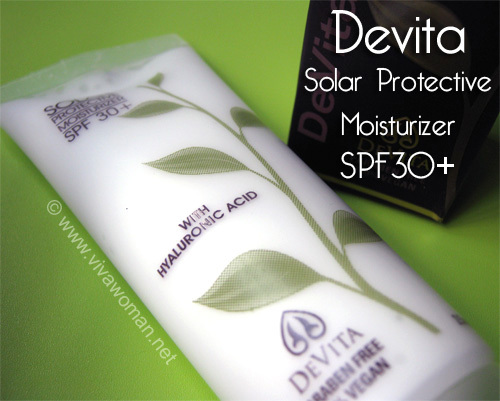 I wouldn’t use this alone or repurchase devita SPF 30. Had a sunburn despite putting alot on my face only an hour after application. If you have to use this layer it with another sunblock. It is moisturising but not effective as a sunblock for some. I did read that Devita doesn’t protect for some…I’m guessing most of those who didn’t get sufficient protection might not be Asians as I find that what works for us may not necessarily work other those in the West cos of the amount of melanin we have aren’t the same. I’m Asian but I don’t think devita protect very well. I only start wearing devita in late August till now and I notice I’m a lot tanner than I usually is around this time of the year (which is winter). So I’m not sure if it adequately protect. It’s such a shame though because it is a ‘dream’ of a sunscreen for me. 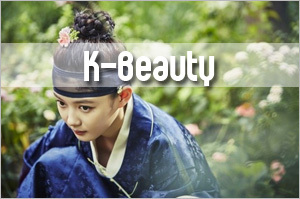 Light, no white cast, only physical sunscreen and most importantly, budget friendly. Hmm…I have had mixed comments. Some find Devita good while a few said the same thing like you. I use this on my arms mostly and so far, seems okay. 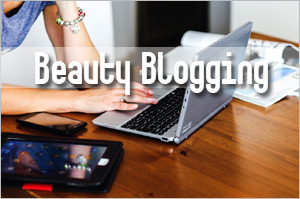 Wonder if you are interest in trying out of Pangea skincare products. Hi, do you have any recommendations on under eye cream that are 100% vegan and harmful chemical free? Recommend you to try using oil. 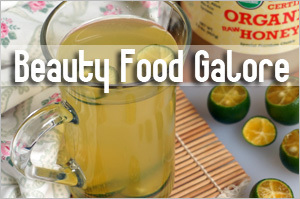 I’ve found it to be the best to help the thin, delicate skin around the eyes.